The human toll of September 11 is still growing with thousands of people in the U.S. living with —and dying — from 9/11-related illness. The growing number has put crippling pressure on a federal compensation fund to help the sick and their families, leading first responders and survivors to pressure Congress. Thomas Wilson rarely left Ground Zero in the dizzying month following the attacks of September 11, 2001. A New York City police sergeant at the time, Wilson spent his days sifting through the tangled, charred rubble of the World Trade Centre. When night came, he slept for a few hours in one of the makeshift dormitories that sprung up around the site — a fierce sense of duty prevented him from being anywhere else. "A job had to be done," he said. "It was the right thing to do." Wilson counted himself lucky for escaping that day when so many others didn't. But seven years later, 9/11 caught up with him. He was diagnosed with a rare tongue, and later, skin cancer—both of which doctors said were linked to his time spent at Ground Zero. Wilson, a father of five, was shocked but not entirely surprised. He remembered the lack of proper protective gear and the metallic odour of the toxic brew of carcinogens that hovered over what he, and other first responders, dubbed "The Pile." "It just perforated everything," he said. Wilson is one of more than 11,000 first responders and survivors who've been diagnosed with a 9/11-related cancer, according to the World Trade Centre Health program, part of the U.S. government's Centers for Disease Control and Prevention (CDC). In 2011, about 60,000 people were registered as having 9/11-related illnesses. By December 2018, that number was higher than 93,000, according to WTC Health Program. The growing number has put crippling pressure on the September 11 Victim Compensation fund, set up by the U.S. government to provide financial aid for the sick and the families of those who've died from their illnesses. The fund is running out of money faster than expected and, to ration what's left, future payments are set to be cut by up to 70 per cent — a decrease that could mean undue financial stress, in addition to life-changing health challenges, for people impacted by that awful day. "I am painfully aware of the inequity of this situation," the administrator of the fund, Rupa Bhattacharyya said in the fall. "But the stark reality of the data leaves me no choice." Before the cuts were announced, compensation rates for people diagnosed with 9/11-related ailments ranged from $200,000 to $340,000 US, depending on the type of illness and its severity. 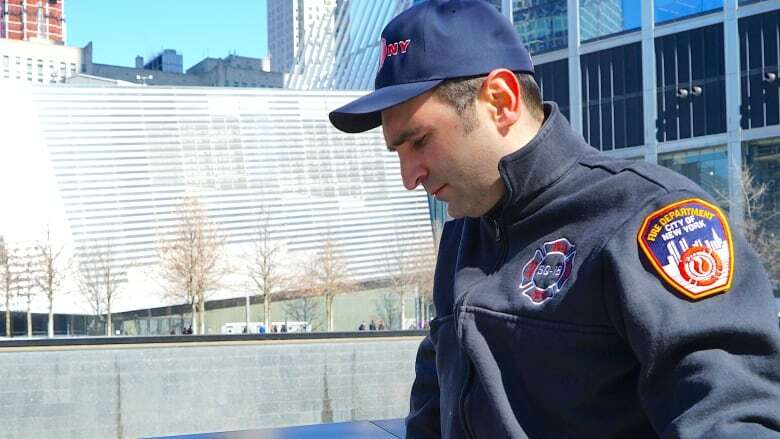 In order to be eligible for compensation, first responders must have been working at Ground Zero and then diagnosed with one of 65 cancers doctors in the WTC program have linked to the aftermath of 9/11. Bhattacharyya's announcement prompted a group of 9/11 first responders and their families to travel to Capitol Hill earlier this month to pressure Congress for a fix. They appeared with Kirsten Gillibrand, a New York Senator and Democratic presidential candidate, as she announced a bipartisan bill that would make the fund — set to expire in 2020 — permanent. Doing so would likely render the compensation cuts unnecessary and protect those diagnosed with 9/11-related illnesses in the future. But the bill currently does not have enough votes to pass. 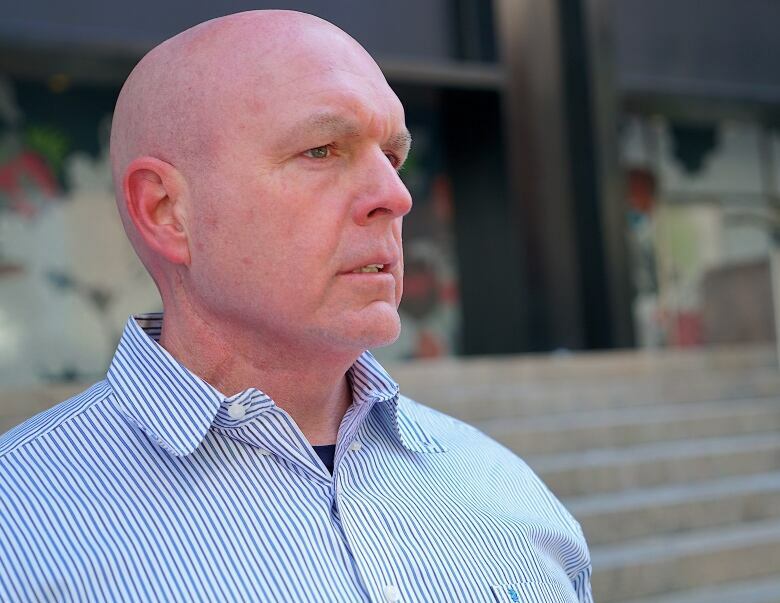 "This is a no-brainer," said John Feal, a leading advocate for 9/11 first responders, whose foot was crushed by a steel beam as he removed debris from Ground Zero. "This is an ongoing thing; this is a generation-long epidemic." 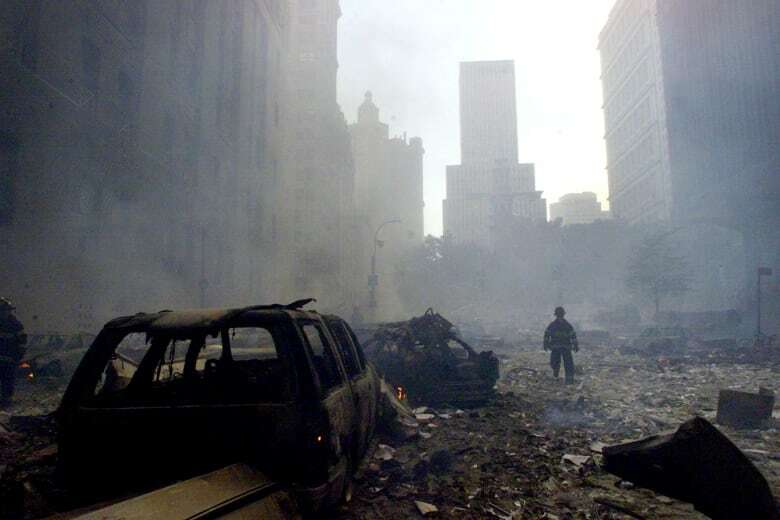 And it's only going to get worse, said doctors treating people with 9/11-related conditions. Some doctors estimate that more people will eventually die of 9/11-related conditions than the nearly 3,000 people who died on the day itself. Many of the cancers linked to breathing in toxic air potentially take decades to develop, meaning the scope of the crisis could grow exponentially in the coming years. "It's a huge problem," said Dr. Benjamin Luft, a physician at Stony Brook University Hospital who works with the WTC Health program. "Overall, the amount of suffering that occurs post-trauma far exceeds the amount of trauma that occurs at the time — even though that trauma itself was enormous." The dire predictions make Feal's work all the more important to him. He's organized lobbying trips to Washington every time the fund has come under threat since it was first created in 2011. In 2015, a similar push to make it permanent was quashed by Republican lawmakers concerned over costs. Instead, Congress gave the fund $7.3 billion US with the 2020 expiration date. Only about $2 billion US remains, with thousands of claims waiting to be processed and more people registering every day. "We're coming down hat in hand," said Wilson. "We're begging for our brothers and sisters who are too sick to go and lobby on their own." And with each trip, the frustration grows. Wilson, who is still an active duty police officer, said it's insulting to meet lawmakers who pay lipservice to remembering the attacks but refuse to actually take care of those who were caught in the aftermath of that day. "If hypocrisy was a crime in Congress, I'd be locking people up," he said. 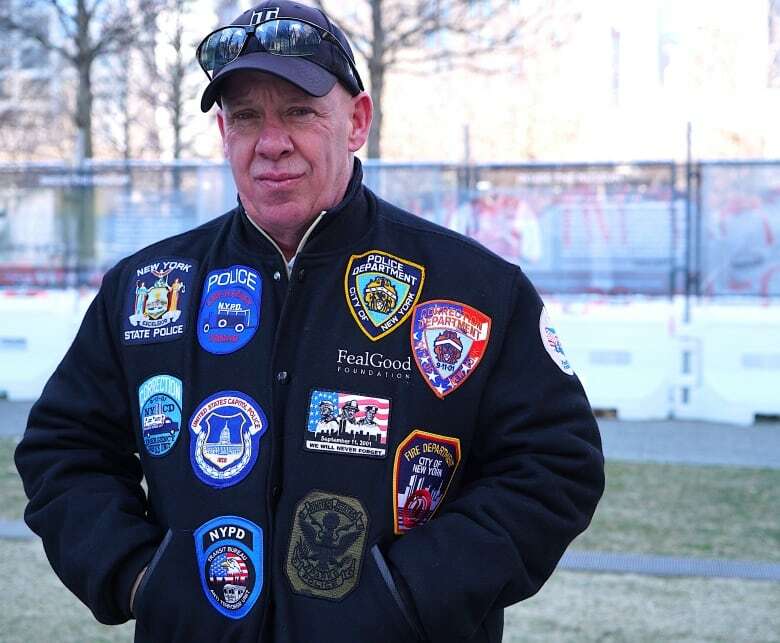 It's a sentiment echoed by fellow first responder, Charles Sullivan, a former NYPD officer. In 2015, Sullivan was diagnosed with a rare form of lymphoma doctors said was related to working in Lower Manhattan following the attack. "Some people might say we're tired of hearing about 9/11, let it go," he said. "I'd love to let it go: if people weren't dying every day." 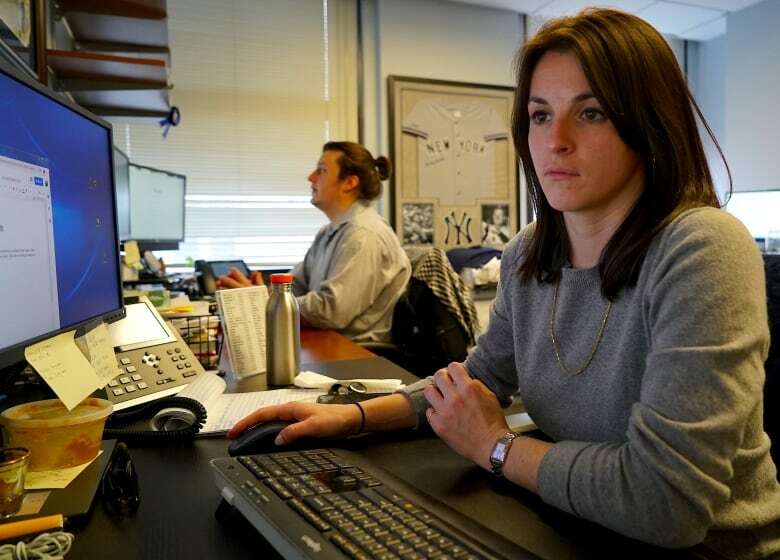 It's a reality that Bridget Gormley and Robert Tilearcio Jr. know all too well. Their fathers were New York City firefighters who died prematurely after being diagnosed with 9/11-related cancers. Tilearcio's father travelled to Capitol Hill to lobby Congress in the years before he died of brain cancer in 2017 at age 58. Now Tilearcio Jr. goes in his place. "9/11 is the gift that keeps on taking," he said. "Hopefully those angels watching over us can maybe get into the heads of the people who don't want to vote yes." Both Tilearcio and Gormley work at law firm Barasch & McGarry, located just minutes from where the Twin Towers once stood. The firm specializes in advocating for those with 9/11-related illnesses. "I lost my father and I'm not going to get him back," Gormley said. "I've come to terms with that, but now I feel like I'm part of something bigger than me. It's cathartic almost." 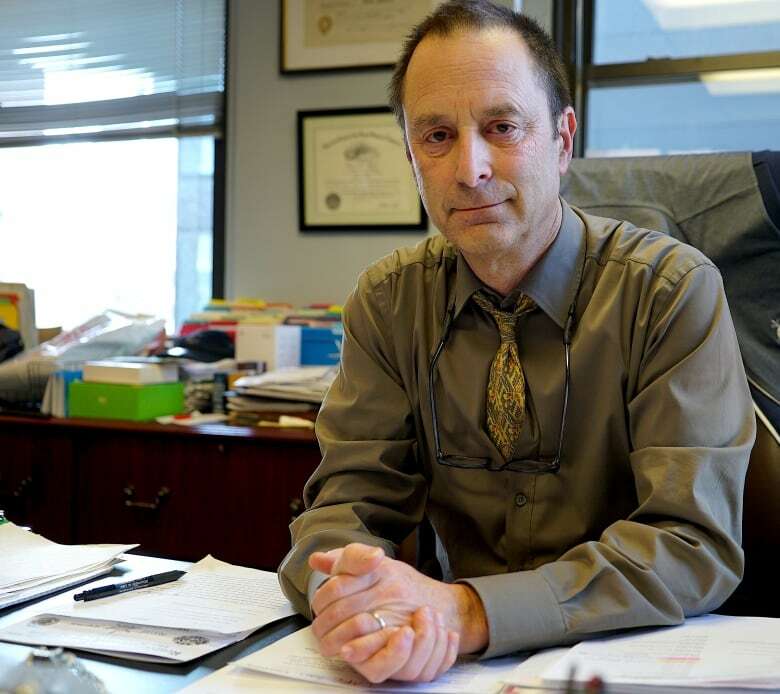 Partner Michael Barasch represented both of their fathers before they died. On 9/11, he watched from his office window as the South Tower collapsed. "I was like a deer in highlights," he said. "We are some of the same people that you've seen in those famous photographs covered in dust and ash, running up Broadway." Like Feal, Barasch has made many trips to Washington on his clients' behalf. "In many cases, it's the difference between keeping your house and not keeping your house," he said of the compensation cuts. "Congress just didn't set aside enough money for all the people getting sick." Gormley said one of the hardest parts of losing her father was thinking he survived 9/11 — that her family had dodged a terrible fate — only for that day to change his life so many years later. New York's 9/11 museum: What should we think about the event now? "You have survivors who are turning into victims," she said. "Everyone's looking over their shoulder wondering what's going to happen next." Rob Serra lives with that anxiety every day. He was 21 years old on 9/11, his first day on the job as an New York firefighter. His health problems began almost immediately as he suffered with an uncontrollable nosebleed while working at Ground Zero. Other issues followed. Nasal polyps had to be surgically removed, respiratory problems arose, and nerve damage means he sometimes relies on a wheelchair. His downward health spiral forced Serra to retire from the FDNY at just 33. "I feel like the sand is moving a little quicker through the hourglass," he said. Serra now spends his time advocating for the fund. Compared to those waiting for their claims to be processed or the yet-to-be diagnosed, Serra said he's lucky. He received his compensation before the cuts were announced — money to help take care of his young children now that he can no longer work. But it does little to ease his fear — a fear that stalks so many of 9/11's first responders — that he won't get to see his kids grow up. "I'm hoping to see them go to high school but I don't know," he said. "I can't imagine that I got all these other illnesses so early on and I'm not going to get cancer." Ellen Mauro is a multi-platform reporter covering U.S. politics from the CBC News Washington bureau. 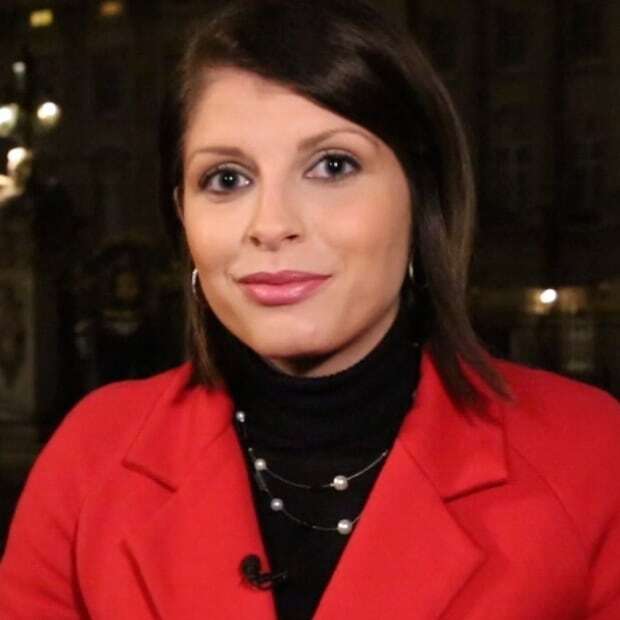 She was previously based in London and has reported from the front lines of some of the top international news stories in recent memory.